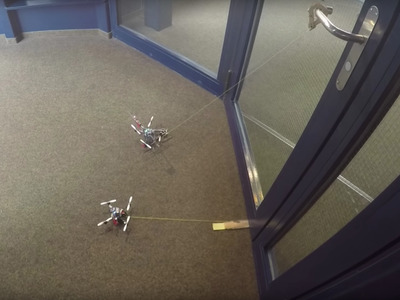 IEEE Spectrum/YouTubeThese two microdrones can open a door together. Robotics researchers at Stanford University and École Polytechnique Fédérale de Lausanne in Switzerland wanted to find a way for tiny microdrones to exert “forceful tugging,” so they turned to biomimetics – meaning they took inspiration from the natural world. 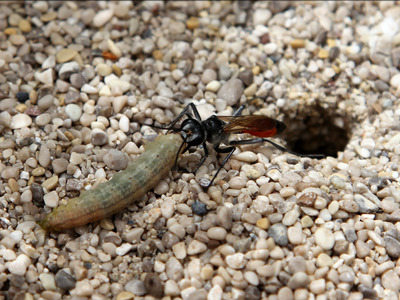 Katoosha/ShutterstockPredatory wasps are able to drag prey like this caterpillar along the ground. “Teams of these drones could work cooperatively to perform more complex manipulation tasks,” Stanford researcher Matt Estrada told IEEE Spectrum, a magazine dedicated to engineering and applied sciences.